Based on a new scientific paradigm in sync with experience-based spirituality, Ervin Laszlo and Anthony Peake explore how consciousness is continually present in the cosmos and can exist without connection to a living organism. They examine the rapidly growing body of scientific evidence supporting the continuity of consciousness, including near-death experiences, after-death communication, reincarnation, and neurosensory information received in altered states. They explain how the persistence of consciousness beyond the demise of the body means that, in essence, we are not mortal--we continue to exist even when our physical existence has come to an end. This correlates precisely with cutting-edge physics, which posits that things in our plane of time and space are not intrinsically real but are manifestations of a hidden dimension where they exist in the form of superstrings, information fields, and energy matrices. 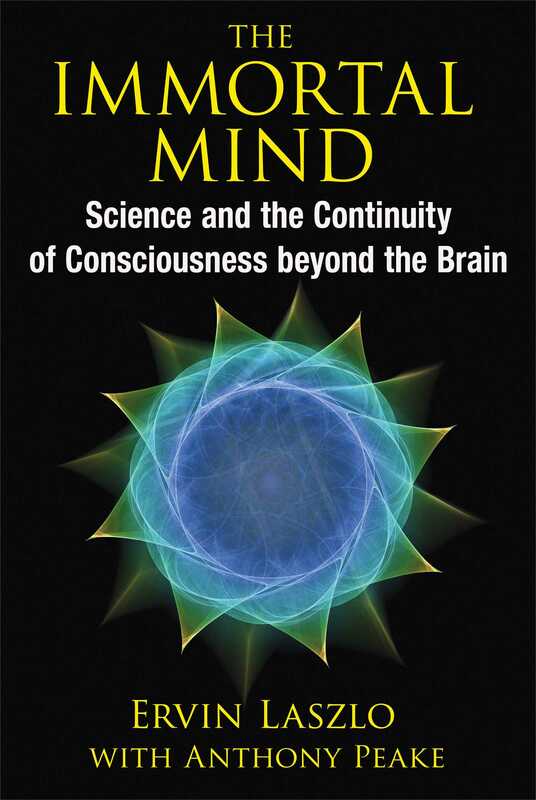 The beyond-the-brain consciousness--the consciousness we encountered in near-death experiences, in after-death communication, in pastlife recollections, and in experiences suggestive of reincarnation--is not a manifest entity in the manifest world. It is part of the Akashic deep-dimension of the world. Spirituality and religion can accommodate this claim; they can interpret the discarnate consciousness persisting beyond the grave as our immortal soul or spirit. Mainstream science cannot make such an accommodation: it maintains that all things in the world are material and limited to a given point in space and in time. A disembodied consciousness is neither material nor local. But science is not static, and it is possible that scientists could expand the scope of their theories to recognize that consciousness could exist beyond the brain. Whether it exists in that discarnate form is a researchable question that cannot be dismissed out of hand. Scientists need to look for an answer by considering an observation-based scheme that could integrate these anomalous observations into the catalog of accepted theories. Such a scheme can be found, and discovering its major contours is the task we undertake here. The Akasha paradigm maintains that the world we observe has two distinct but not separate or separable dimensions. There is the deep Akashic dimension--the A-dimension--and the manifest M-dimension. Consciousness is associated with the deep A-dimension. This claim is supported by the fact that how we access consciousness is fundamentally different from the way we access entities and events in the manifest world. Unlike the entities and events of the manifest world, consciousness is not an observable. Only “I” have access to my consciousness, and I do not observe my consciousness; I experience it. There is a definite difference between third-person observations of matterlike things and first-person experiences of the immaterial flow I know as my consciousness. If the manifest world is a world of observable things, and if consciousness is not an observable thing, then the logical conclusion is that consciousness is not part of the manifest world. This is logical reasoning, and there is empirical support for it. But there is also evidence indicating that consciousness exists not only in association with the brain but also beyond it. We now state some key facets of the new concept and examine its fit with our knowledge of the world. If consciousness is not in, and is not a part of, the manifest world, then the place of consciousness is either in a transcendent realm, such as that described in spirituality and religion, or it is part of a nonmanifest dimension of the world, the A-dimension. The question is, then, what exactly is the deep dimension, or A-dimension? What would that dimension be if we could experience it? It would be, we suggest, a cosmic domain of consciousness. How does the cosmic domain of consciousness enter, act on, or “inform,” the manifest world? This is a difficult question that concerns the physical effect of a nonphysical agency. It is elucidated, however, by recent explorations at the frontier where quantum physics interacts with neuroscience. The basic concept is the work of physicist Roger Penrose and neuroscientist Stuart Hameroff. The principal tenet of Penrose’s physics is Orchestrated Objective Reduction, or Orch OR. This extends Einstein’s general relativity to the Planck scale, the basic level of spacetime. According to Penrose a particle in one state or location is a specific curvature in spacetime geometry, and the same particle in another location is a curvature in the opposite direction. The superposition of the curvatures in both locations make for simultaneous curvatures in opposite directions, and these constitute bubbles or blisters in the fabric of spacetime. The ripples are unstable and collapse in the fine structure spacetime to one particular state at one particular time. Each quantum collapse introduces an element of consciousness into spacetime. If consciousness is intrinsic to the Akasha and spacetime is the basic structure of the manifest world, then through Orch OR the A-dimension enters the M-dimension. The human brain is part of the manifest world, and Orch OR introduces an element of consciousness into its fine-structure. The relevant finding is that the brain does not decode information from the world around it uniquely through its neuroaxonal networks. The latter are only one of the brain’s systems information-processing networks: there is also a vast hierarchy of networks below this level, extending all the way to quantum dimensions. These networks are built of cytoskeletal proteins assembling into microtubules. Microtubules are cylindrical polymers of the protein “tubulin,” a major component of the cell’s cytoskeleton. They create the cell’s architecture, regulating synapses and communication between cell membranes and genes in the cell nucleus, acting as the cell’s nervous system. The number of subneuronal networks vastly exceeds the number of elements in the neuroaxonal network: there are approximately 10^18 subneuronal microtubules in the brain, compared with merely 10^11 neurons. The microtubular networks enormously raise the brain’s capacity to process information. Rather than a few synaptic bits per second, 10^8 microtubules per neuron communicating in the 10^6 Hertz range produce as much as 10^14 bits per neuron per second. The subneuronal networks, operating at the quantum level, are sensitive to objective quantum-state reduction. Each reduction signifies the entry of consciousness in the manifest world at the most basic level of spacetime. The selection of the entry through Orch OR is not random; it is defined by the fine structure of spacetime geometry. Embedded in spacetime at the Planck scale there are precursors of physical laws, physical constants, and fields and forces. The deep dimension carries information, and it affects the manifest world accordingly. The entry of the cosmic consciousness of the A-dimension is not limited to the human body and brain; it extends to all manifest entities. Every quantum, every atom, and every multi-atomic structure is “informed” by the Akasha; the deep dimension of the cosmos. "Ervin Laszlo with Anthony Peak take serious steps toward answering this grand question: does a part of our consciousness carry on after death and, if so, what evidence is there to support this contention? If taken seriously, the proof uncovered by the authors will hopefully shake a few foundations and lead us onto the correct path once and for all so that, as individuals, we might have some insight into what happens once the final curtain on this life comes down."